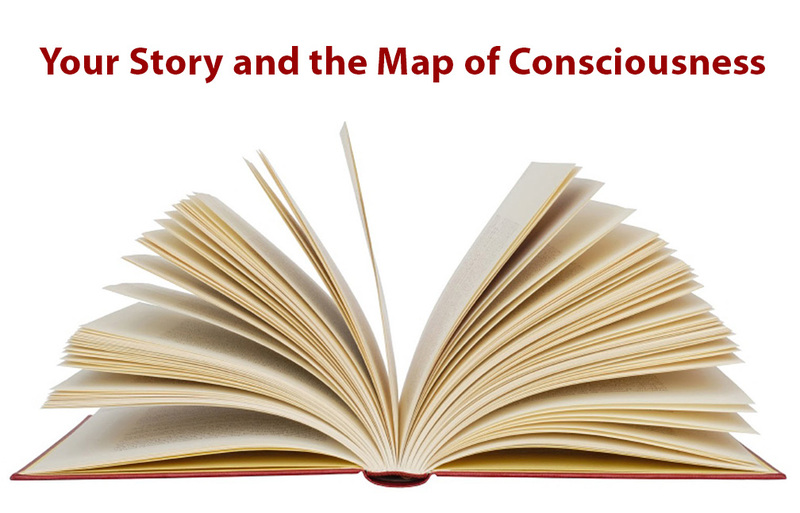 A very simple way of realizing the Map of Consciousness is to understand it is all about stories and the end of all stories. It’s that simple. It’s just stories and finally the end of stories. I have nothing against stories. I made a good living as a writer and film director creating stories. That career was very good to me. You see; that’s another story. We live in a world of stories. You have your stories. I have my stories. Everyone has a story. It’s not really the stories themselves that create problems and keep us from the ultimate truth of what we are. It’s our attachment to the stories. And attachment comes from belief. Without belief in the story, the attachment fades away and we’re free. When we’re in the ego stage of Consciousness, we have many stories. We have stories about the world and what and who we are. And we believe these stories completely without question. Our stories are our reality. I call this the “thought world”. You see, we don’t see life, reality, as it is. We only see it as we think it is. And our stories create what we think it is. That’s why we say there is only one earth but six billion worlds. Each of us has a different unique story about what the world is. And this world, created entirely through thoughts, seems entirely real. Other than the fact that these are just stories and not truth, the other problem with these stories we tell ourselves and believe in the ego stage is that they tend to often be quite negative. It’s amazing how we can filter out all the positives in certain event and create a story where the very few negatives make up most of or even the entire story. And this gets worse the further in time we’re away from the actual event. So often our memories of childhood events are filled with these negative memories, when in truth it was actually far more positive then what we remember. Often actions perceived from the young child’s perspective as being unfair, oppressive or even cruel were really coming from parental love. And these childhood memories are carried right into adulthood. We also believe stories of how life should be rather than how it actually is. And this creates frustration and suffering whenever life is not as we believe it should be. Life is simply as it is. It doesn’t care about our “shoulds”. As a result, there is often a lot of unhappiness in the ego stage. When life does what we think it should, we’re happy. When it doesn’t, we’re not. There’s no more than a fifty percent chance our “shoulds” will correspond with life’s truth at any given moment. So this is not a particularly happy life. As we seek to free ourselves from this suffering and find what we’ve been missing, we may find ourselves on the Spiritual Path. Believing there must be something more than this suffering and incomplete life, we become Seekers. Here we find some new, more positive stories to replace the old negative ones. And this works – a little. It’s like using one thorn to dig another thorn out of our skin. There’s still a thorn in our skin, but it’s a newer and better one and much less painful. What we’re really doing is substituting stories. This isn’t bad. It’s a great improvement over the old stories. It’s perfect for this stage of Consciousness. But we still believe stories are real. We no longer believe the old story of our unworthiness and victimhood. “Life is against me.” “Nobody likes me.” “I can’t do this.” Now we believe a new story. “I’m a child of God.” “I’m ascending.” “If I keep doing these practices, I will be enlightened.” And these stories are better, less negative. I realize this may be very hard for you to accept. If it is, I recommend reading Byron Katie’s books. Take any story you totally believe is true and undeniable and run it through her The Work formula. Be honest with yourself. Can you honestly say that story, any story, is absolutely and completely true? If you are completely honest with yourself you will have to say no. It is hard for most people to accept this at first. We are born into a world of stories. They seem completely true. And we become so attached to our stories, especially the story of me and who I am. Who Would You Be Without Your Story, dialogues showing how people’s lives are profoundly changed simply by changing or abandoning an old story. Awakening is really nothing more than letting go of those stories, of all stories. But we don’t have to leap right to the end, unless you’re truly ready for it. We can go step-by-step as most of us do. Stories become believable when we repeat them to ourselves over and over again, often many thousands of times, like a tape loop repeating over and over again in our mind, usually unconsciously. And after the thousandth repetition we become pretty attached. But if some new evidence emerges (and we’re willing to see it) or you honestly do Byron Katie’s Work, that old story can dissolve right in front of your eyes as soon as you stop believing it. When the attachment to that story is gone you feel this incredible freedom, joy, maybe even bliss if the attachment was strong enough. It’s an amazing experience to watch an old story you believed in, perhaps for most of your life, just dissolve. You literally feel your entire body shifting. Because your sense of you, of who you are, is created from stories just like this, when an old story is surrendered you are no longer who you thought you were. You’ve changed. And this is even felt in the body as soon as you surrender that story. I realize now that all the healings I did for people were nothing more than changing the story that created the physical illness. Because I was free of my personal story and experience of separation during the healings, I could clearly see their personal story and how it created and maintained this physical illness. Once that story was changed all physical symptoms immediately stopped. If there had been chronic pain for twenty years, suddenly it was completely gone. The only reason it came back after the healing session was because the old story came back. So stories not only make you physically sick, they can actually kill you, but only if you believe them. The story itself can do nothing without your belief and attachment to it. You create your reality through nothing but stories. In the Personal Consciousness stage, we move past fixating on our old stories and begin to try on some new more positives stories. Most people are not ready to surrender stories completely yet. But at this stage they are willing to try on some new and better stories. The back and forth experiences at this stage of “I found it. I lost it.” are simply the transition from adopting a new happier story and the stubborn return of the older less happy one. It takes time for a new story to replace the old one, unless the old one is completely seen as not true. And at this stage, we are not free enough from attachment to thoughts to do this consistently. That’s why Byron Katie’s The Work is important at this stage. At this stage we’ve adopted a new and more expansive story – the story of Something More. And we could not have done this without first surrendering, at least a little, our fierce grip on our sense of the personal self as the doer. Because we have let go, to some degree, our sense of being the doer, the controller of our life, we have opened the door for Something More. The story of Something More is a more expansive, open story, far more open than the story of the limited personal self as the doer. This Something More is not really knowable to the mind of thoughts. We may call it God, the Absolute, the Source or the Great Mystery, but at this stage we’re getting more used to not creating a fixed and limited story about things. This story is more vague. We’ve become more comfortable with Not Knowing. And this comfort with Not Knowing is a huge step in our freedom from stories, which is our awakening to Truth as it is. Along with this relative freedom from stories, comes a great feeling of both freedom and Love. This Something More has the flavor of Love all over it. It is the embodiment of Love. We don’t need to make a story out of this. It is just the direct experience of this more open and less limited story. In this stage we have made a huge jump in freedom from stories, especially the story of the personal self. Through various practices, especially Self Inquiry and the I Am practices, we have surrendered all attributes of the personal self story except for pure existence. 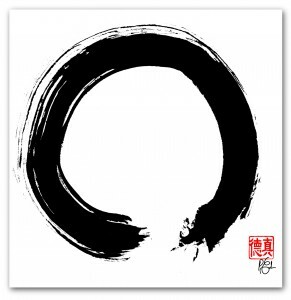 The story of I is now simply a story of pure existence and no longer existence as this or that attribute. There is enormous freedom in the release of this powerful story. That enormous freedom is experienced as the energy of Bliss. Here all stories have fallen away. Not through anything we have consciously done. All the practices up to this point have brought us to this door. And life itself has pushed us through. This is the scrubbing clean of all the remaining subconscious attachments to the story of self and the story of the world. That is why it appears that both the world and the observer of the world have disappeared. When those stories are gone, all meaning and perception attached to them are also gone. This is a wonderful cleaning process that we as a doer have nothing to do with. It is done for us. Whether we enter the Void stage resisting, kicking and screaming or surrendering to this great Silence and Stillness is up to us. Click here to learn more about the Void stage. After the deep cleansing of the Void, all stories are gone. There is only this Consciousness. Unlike in the Void, everything is seen. Everything is here. Everything. But it is all just Pure Consciousness / Absolute / God. All the stories about it are gone. A tree is no longer a tree. It is God. A flower is no longer a flower. It is God. A person is no longer a person. It is God. This is extraordinary freedom from stories. But even this is a story. But it is the very last story. This story completely erases all other stories. The story of the tree is gone. It is only God. The story of you is gone. It is only God. This is a very simple but extraordinarily powerful and profound story. It changes everything. Eventually, after its work is done, this final story is surrendered too. And what is left is No Story. It is simply what is, without any story at all. This may not sound like much. But life without a story is miraculous, astoundingly beautiful. What is simply because it is is wonderful beyond any story. It is as if we have come full circle. We see everything we saw when we began this journey but now it is entirely different, because now there is no story. There is simply what is, just as it is. No words or stories can describe the profound realization of this extraordinarily simple statement. So we move from fierce attachment and belief in our stories through a gradual, systematic and entirely natural freeing of those attachments and beliefs until we experience complete freedom from all stories. Click here to learn more about True Oneness. It doesn’t mean we can’t use stories. I’m using stories right now. But we are completely free of attachment to them. Everything is simply what it is. It doesn’t need a story. It doesn’t need any knowing. It is simply what it is. And what that is, if they are honest and awake, nobody can say. If anything my ability to use stories and tell stories is far better than it was when I was a professional writer. I remember with great clarity the most intimate details of my life. 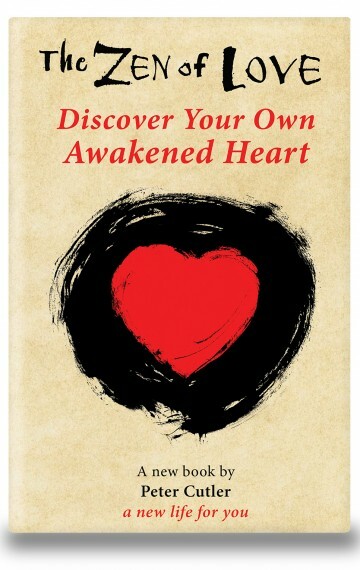 And, when it is appropriate, I use these remembered stories to help others awaken to the same freedom I found. Writing and teaching have become completely effortless. The stories of when I was deeply asleep can be the most useful stories of all, as most people can relate better to them than the higher states of consciousness. We don’t lose anything when we give up attachment and belief. We simply gain freedom. And, yes, I will continue to listen to your stories. Not because I believe your stories any more than I believe mine, but because you believe them. Since you believe these stories, they are your reality. And since I care about you, I listen to your stories. Since I love you, you have my complete attention.